Mini Greenhouses are great for hardening off seedlings, and giving young tender bedding plants protection against frost in early spring. They can also be used to overwinter half-hardy plants. 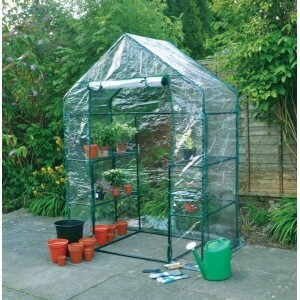 We have a range of attractive and compact mini greenhouses, suitable for all garden styles. 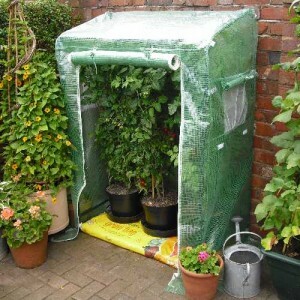 A mini greenhouse can be positioned against a wall or fence taking up very little room, making them especially useful in smaller gardens with limited space. Palram's 4 x 2 Lean To Grow House has all the advantages that one expects from a Palram greenhouse b.. 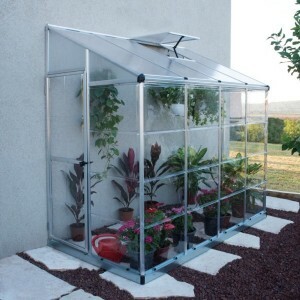 Lean To Grow House from Palram provides you with all the key advantages of a hobby greenhouse for co..
Get your tomatoes off to an early start with the help of this specially designed Tomato House. Co.. 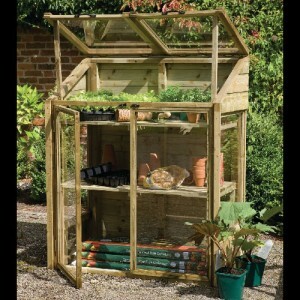 This traditional wooden Mini Greenhouse has two independently opening lids and double doors to of.. 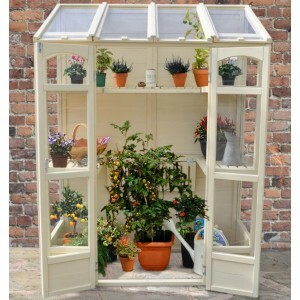 The Victorian Tall Wall Greenhouse from Forest is a compact and attractive lean-to style greenhou.. 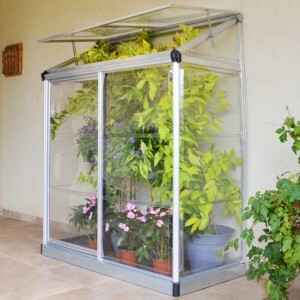 The Walk in Greenhouse from Kingfisher is a durable yet portable garden essential. This free standin..